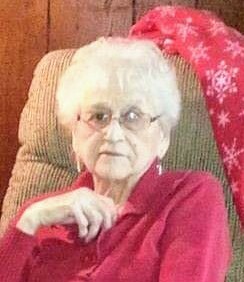 Cora Romayne (Gautsch) Young, 88, of Lousia St., Williamsport, passed away Sunday, April 14, 2019, at her home. She was born June 7. 1930, at home in Northumberland, a daughter of the late Maurice O. and Olive Mae (Orner) Gautsch. On Dec. 23, 1949, she married Donald O. Young who preceded her in death on Oct. 6, 1996. Cora was a 1948 graduate of Northumberland High School. She later gained employment with Furman’s Cannery, Northmberland, and retired in 1992, after 26 years of service from Acme Markets, Williamsport. She was a member of Christ United Methodist Church and of the Priestley Chapter No. 423 Order of Eastern Star, both of Northumberland. Mrs. Young enjoyed baking, cooking and fishing, but most of all, spoiling her grandchildren. Surviving are two sons and daughters-in-law, Donald O. Jr. and Mary Kathryn Young, of Williamsport; David and Shelia Young, of Waynesboro; three daughters and one son-in-law, Linda Goodbrod, Susan Metzger, both of Williamsport, and Carol and Glenn Fagley, of South Williamsport; 10 grandchildren; Kristin Musto, Jodie Ellis, Heather Goodbrod, Keri Hawkins, Josh Metzger, Allison Marsh, Jake Young, Tessa Young, and Neill and Brian Fagley; 15 great-grandchildren; and two brothers, Jim and Glenn Gautsch, both of Sunbury. In addition to her parents and husband of 47 years, Cora was preceded in death by one son, Maurice O. Young, three brothers, Maurice, Thomas and Richard Gautsch, and two sisters, Lois Ryan and Nancy Vankirk. Friends and family may call from 10 a.m. to noon on Thursday, at the Joseph W. Epler Funeral Home, 210 King St., Northumberland, where funeral services will begin at noon with Rev. Joan Dodson officiating. Burial will follow in Riverview Cemetery, Northumberland. In lieu of flowers contributions in Cora’s memory may be made to UPMC Susquehanna Hospice Williamsport, 1100 Grampian Blvd., Williamsport, PA 17701.